CEO and one of the owners of S7 Group, Vladislav Filyov agreed yesterday to acquire no less than 51% of Transaero shares from Alexander Pleshakov. According to Russian media, the deal was approved by another co-owner of S7, Filyov’s spouse Natalia. It is yet unclear, which shares will make up the package. Pleshakov currently holds from 46.55% to 60% (data differs) of the struggling airline’s assets. The transaction amount has not been announced either. However, according to Pleshakov, the deal has been in the works for some time, and was crafted to deter the monopolization of air travel market in Russia. Besides, it’s his hope to save Transaero from insolvency and extinction. Filyov also expressed hope that he will be able to somehow come to terms with Transaero’s creditors, two of which (Sberbank and Alfa-Bank) have already invoked bankruptcy procedures against the airline. St. Petersburg Commercial Court dismissed Sberbank’s claim, but only for procedural reasons. 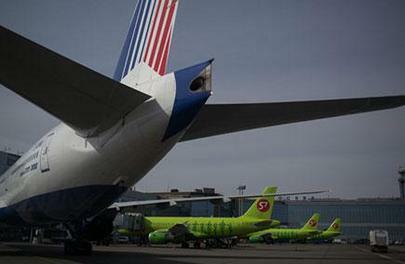 Transaero’s pending debts still stand at no less RUR 250 bln. In the meantime, Russian aviation authority Rosaviacia waived Transaero’s Air Operator Certificate, grounding the airline’s fleet from October 26. De jure Transaero’s still under Aeroflot’s opertional control. Speaking to RBC newswire Filyov assured that S7 stakeholders have elaborated a settlement plan that may satisfy the banks. Industry experts reacted to the news with confidence that should S7’s acquisition of Transaero become reality, the latter may continue operations. Rosaviacia’s concerns are with the airline’s financial status, not flight safety, they said. Notably, industry experts acknowledge S7 Airlines’ business models as one of the most reliable on the market. The company earned that reputation after sorting out the aftermath of the 2008 financial downturn that almost caused the airline’s bankruptcy.